I’ll never forget the first chili cook-off I ever attended. It was an office event and it hadn’t even occurred to me to submit my own entry. There were about a dozen chilis to choose from ranging from incredible to inedible (the latter being heat related – it was called “The Five Alarmer” and it passed its time at the cook-off largely undisturbed). The ultimate winner, whose chili I had voted for, was a young woman just starting her career. I was an executive at the time, which I mention only to emphasize how awkward it was when I asked her if she would share her recipe with me and she just looked at me and shook her head. I suddenly understood the competitiveness involved in these things – there would be another chili cook-off at some point and she wasn’t giving away any secrets. Thus began my personal quest to win a chili contest! 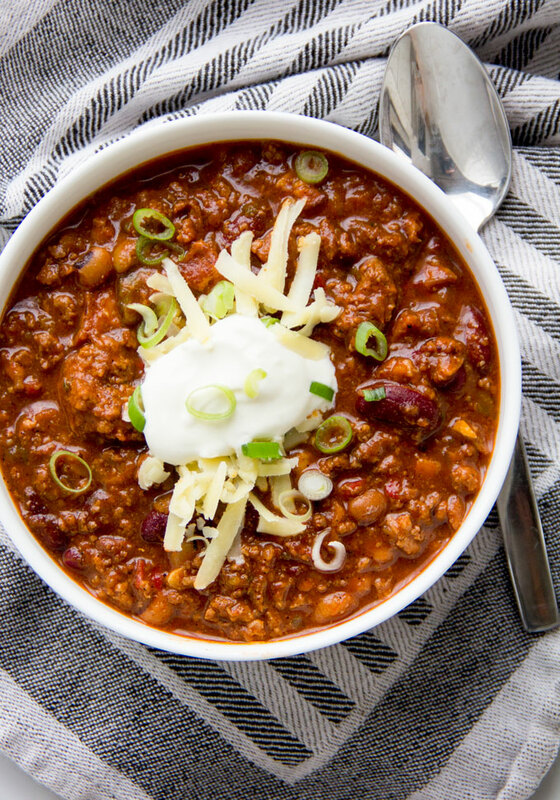 I tried a number of different approaches in the following years, including a purist Texas style chili that shunned beans and ground beef in favor of unadorned hunks of stew meat simmered in what I thought was an excellent balance of chiles and spices. “Delicious”, someone told me after I placed third, “but it’s not really chili”. The award winning chili had beans in it. And I had to admit it was much better than mine, in part because it had three different kinds of meat in it, including sausage. 0 Response to "EDDIE’S AWARD WINNING CHILI"